It’s that time of the year again, when we slather on sunscreen even when we go out just for five minutes, when the sun is harsh and unbearable even at nine in the morning and the dust and the looh drives us indoors cursing the weather gods. Going out is a pain and all outdoor activities come to a standstill. There are no bazaars and fests and there is no theater. Places like Delhi Haat and Janpath become unbearable unless you go late in the evening – Its Summer time in good old Delhi! 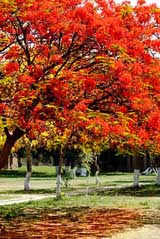 1)The Gulmohar and Amaltas in full bloom: Delhi turns a vibrant yellow and red thanks to the gulmohar and amaltaas trees that bloom during the summer. 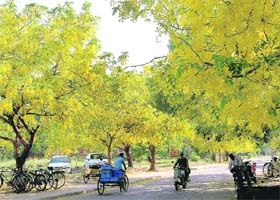 South Delhi is full of them and it’s lovely to drive through the shady lanes flanked on both sides with shades of yellow and orange and red. Never fails to cheer me up ! 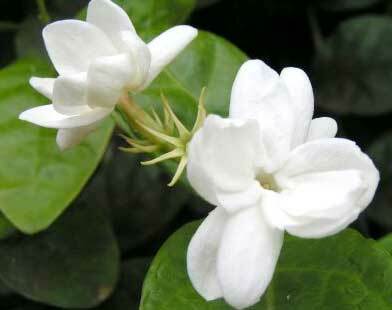 2) Raat Ki Rani and Jasmine: I simply love love love the smell of these delicate flowers. We just have 2-3 shrubs in the neighborhood but you can smell them way down the road. Raat Ki raani flowers only at night and that makes the after dinner walks very pleasant. There is one shrub just near my bedroom window and when the wind is blowing right, the fragrance that wafts into my room is unbelievable! The jasmine blooms early morning and wilts away as soon as the day becomes hot. The first thing I do after getting up is collect the jasmine flowers and put them in tiny earthen or glass bowls filled with water. Keeps the house smelling fresh and wonderful throughout the day . 3) Mangoes: How can we forget mangoes! Fleshy, sweet mangoes, running juice as soon as you bite into them – the langdaas, the alphonsos, the Dussheris, the chausas …. Slurp ! 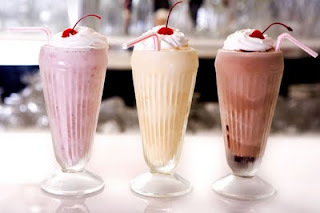 Have them as a fruit, in a milk shake, cut in small pieces along with vanilla ice cream .. they are delicious in any form ! 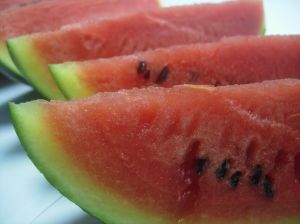 4) Watermelon : I love this fruit even more than mangoes. Take a watermelon, cut it up in small pieces, put it in the fridge for a few hours and then have it all crispy and ice cold. Delicious! 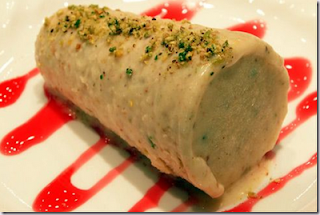 6) Ice creams and Kulfi : There is no greater lover of ice creams and kulfi than me. Kesar pista kulfi , kulfi in a kulhad, kulfi on the stick .. kulfi in all forms and shapes and sizes. Irrespective of my long standing resolution to lose weight, I have a ice cream or Kulfi almost every day in summer! 7) Panna: I love this tangy drink made of raw mangoes! One of the best remedies for heat strokes! 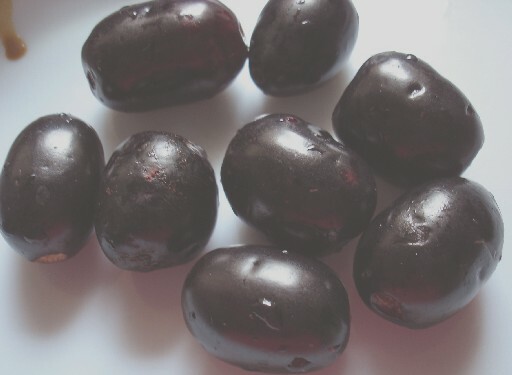 8) Jamuns – We have this fruit seller that turns up every summer shouting Jamun kale kale jamun and then he gives us the jamun wrapped up in a piece of old newspaper with a lot of black salt sprinkled on the top. Our fingers and tongues get stained purple after eating them. I love the sweet - sour taste of this fruit! 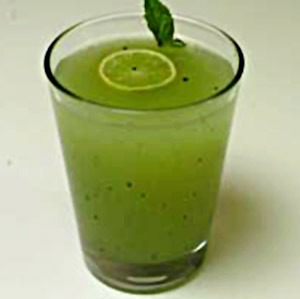 9) Shehtoot (mulberry):A much lesser known summer fruit. Frankly looks a lot like a wriggly worm, you don’t really need to pick this fruit as it just falls as soon as it ripens. You’ll find it strewn all over under the tree. We used to have one in our school and the break time was spent in collecting this fruit! 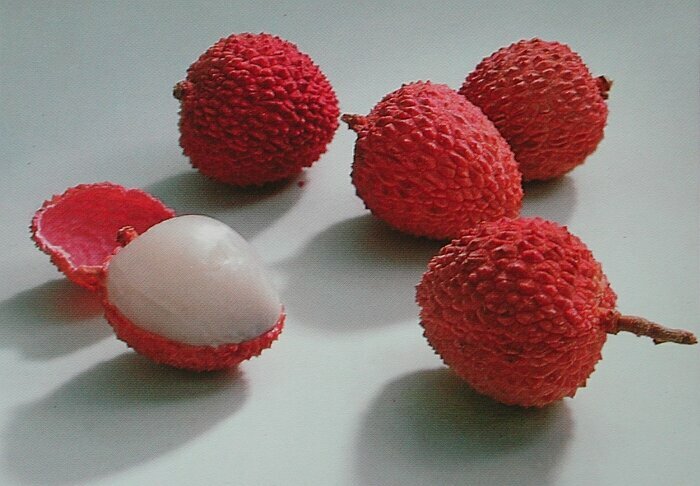 10) Litchi : My absolutely favorite fruit. Somehow people don’t think much of it preferring mangoes and watermelon instead .As for me I lust after this fruit. The only problem is the fruit itself is so small and the kernel inside so big !! But it’s still worth the effort to peel and eat ! 11) The smell of wet earth: One of my favorite summer smells. When the maali waters the plants and the earth is all cool and wet– I love that earthy smell. 12) Koel bird singing: Whenever I think of summer, the first thing that comes into my mind is mango blossoms and the Koel bird singing. Thankfully even in the concrete jungle of Delhi I can plainly hear it and its one of the sweetest songs I have ever heard. I look forward to it each summer! 13) Walking barefoot on the cool concrete/cement floor in the house: Most of the houses have tiled or wooden floors now but the feeling of walking barefoot on a cool cement floor is unbeatable – it’s so cool and nice to the touch! 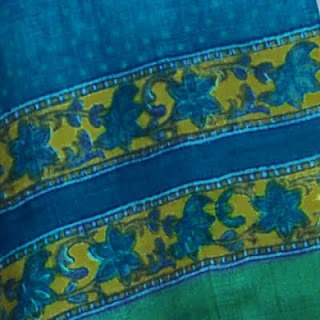 14) Cottons: Summer is the time for cool white Lucknowi kurtas with intricate embroidery and flowy crisp cotton and organdy dupattas along with silver jewellery. One of my favorite attires! I have a huge collection of and I flaunt it every summer ! This is one of the Dupattas I just bought from Fab India ! 15) Getting up with the Sunrise:Yeah I am one of those crazy people who like to get up really early to enjoy the peaceful morning hours and to watch the sun come up. Since this really cant be done in the winter unless you are willing to freeze to death while watching the sunrise I really love getting up at dawn in summers to enjoy my few hours of peace and solitude ! So what do you guys like about the summers ? We may rant Delhi all we want but there is no second place like Delhi. Sheer bliss. I might sound like a wet blanket, but there is nothing I like about summer in India. @Swaram - I know so many things to look forward too !! for a while these things make you forget the heat and dust dont they ! @Prateek - Yeah delhi has its advantages ! @Srivats - Panna is delicious. Try it if you can ! Your post cheered me up. The summer heat saps you of your energy and enthusiasm. I almost go into hibernation. Thank god for the yummy fruits that keep the blues away. And you have Kulfis everyday?? Damn I am so jealous. Drool Drool Drool over the Jamuns.Haven't seen or had them in decades..sigh!!! !.Everytime I see a dark shade of grapes, I run towards them thinking they are jamins..
@MayBornGemini - Welcome here ! I love Jamuns ! and the Raat ki raani and the MAngoe trees too in full bloom.. GOWDDDDDDDDDDDDDD what all I am missing ..
My oh my What fun to be in india at home with all this around .. I am not sure about the heat , i went 3 years ago and the heat jsut got to me and i got very sick.. Body has fogotten how to behave in heat now i guess .. Lovely!!! Enjoyed all the pictures!!!! Even google takes work. Great job!